Some of Sr. Joyce Rupp's most perennially popular books have been collections of her original prayers, blessings, poems, and reflections. In Prayer Seeds, the bestselling author and retreat leader offers almost a hundred new selections on a variety of themes such as the feasts and seasons of the liturgical year, compassion, ministry, difficult times, and important events-all suitable for personal or group prayer. Learn more. 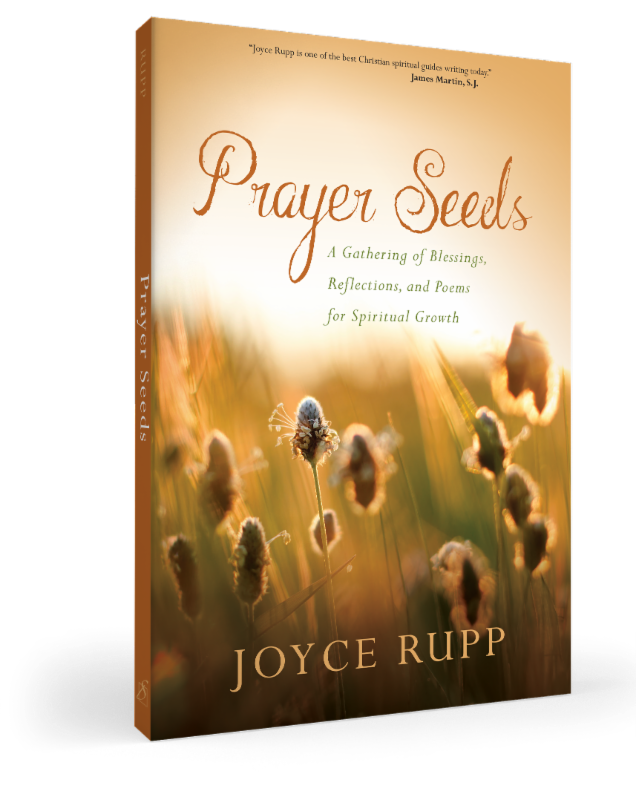 "Joyce Rupp is one of the best Christian spiritual guides writing today." Joyce Rupp is well known for her work as a writer, international retreat leader, and conference speaker. She is the author of numerous bestselling books, including Praying Our Goodbyes, Open the Door, and Fragments of Your Ancient Name. Rupp is a member of the Servite (Servants of Mary) community and codirector of the Boundless Compassion Program. She lives in West Des Moines, Iowa. I looked for a place to stand so that my sign was clearly visible to the crowd. Occasionally people would smile at me and ask to take a picture of my sign. Toward the end of the rally a man who was wearing a priest collar came toward me, smiled, said “thank you,” and asked if he could get a picture of both of us holding my sign! I was thrilled and asked if I could also use my camera to get a picture of the two of us holding the sign. After that I gave him my card and he left telling me that he would send me an email later. When I left the rally I remembered that this priest was wearing a jacket that said “St. Marks” I assumed he was an Episcopal priest and I searched the Internet to see if there was an Episcopal church in Albuquerque with that name. I found St Marks Episcopal Church on the list and concluded that he was part of that parish. My experience thus far told me that a male, Roman Catholic priest would not be comfortable supporting our movement publicly. The only male priest I know who does this is Roy Bourgeois. I have always longed to find other brave, Roman Catholic male priests who are courageous enough to support our movement. A week later I received an email from the priest and was amazed to find that he is a Roman Catholic priest on medical leave from his parish! The story from here oozes with synchronicity. In his first email to me, Father Greg attached a write-up of his recent pilgrimage to Albuquerque that resulted our meeting at the Women’s Rally. (Included below) When I first read this, it seemed too good to be true so I did a little research about Father Greg on my computer. I found the website of the parish where he currently is an associate pastor in Wilmington, Delaware. 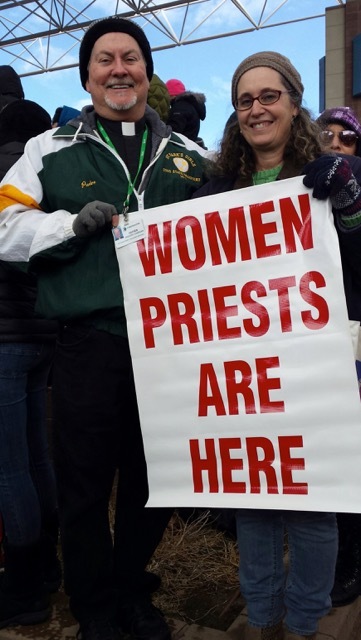 So how does a Roman Catholic Woman Priest from Lexington, Kentucky meet a progressive male priest from Wilmington Delaware at the Women’s Rally in Albuquerque, New Mexico? My only explanation is it was the Spirit! There is even more about this that will support my conclusion. When I was reading things on the website of Resurrection Catholic Church in Delaware, I saw that Greg was a graduate from St. Meinrad’s Seminary in Indiana. So when I responded to his email I asked him if he knew Sr. Carmel McEnroy, who taught there and later was fired because she signed a document supporting the ordination of women in the Roman Catholic Church. 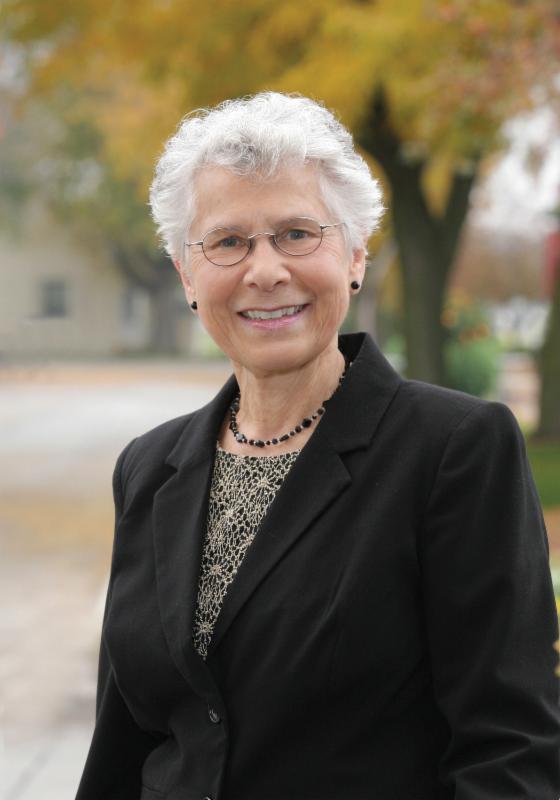 Sr. Carmel began teaching a Lexington Theological Seminary after she was fired from St. Meinrad. I was in a class she taught on the Vatican II documents when I was a seminary student in Lexington. Low and behold Father Greg knew Sr. Carmel very well because she was his advisor and teacher at St. Meinrad! He knew all about her support of women in the church and he supported her. Now many years later, at the Women’s Rally in Albuquerque, New Mexico he is supporting our movement and me! Stay tuned for the amazing things that Sophia Spirit is guiding us toward as our movement continues to grow in Albuquerque. "The Deer's Cry", attributed to St Patrick, is known by several names: "The Breastplate of St Patrick" and "Lorica" to mention two. It is a beautiful prayer celebrating a God within, among and around us.